Artist Jean Louis Gerome Ferris, who lived in the late 1800s and early 1900s, painted idealistic versions of scenes from American history. Ferris’s paintings, however, were full of inaccuracies. 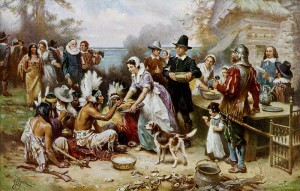 For example, Ferris painted “The First Thanksgiving” (pictured above) in 1915 with a number of historical problems. 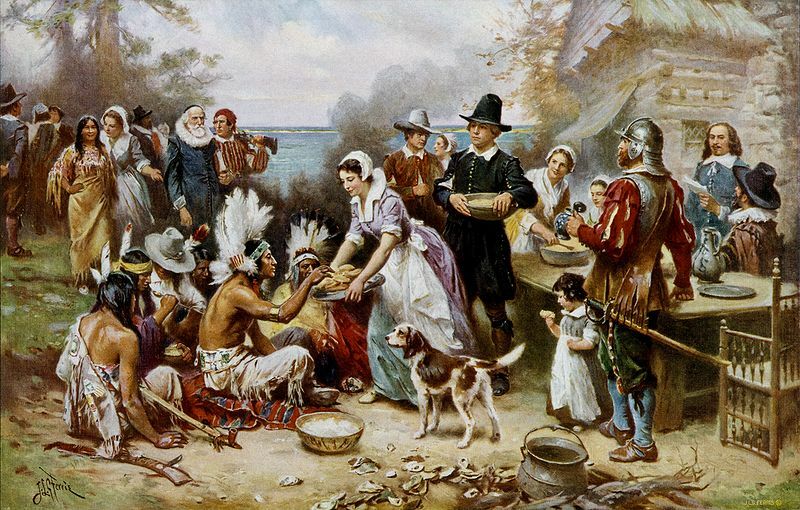 Study the painting above, then use the websites below to research the actual First Thanksgiving. Can you find some inaccuracies with this painting? Respond in the comments section below.